I checked out The Bone Room in Berkeley last Saturday. This is the type of store one can get lost in for hours. 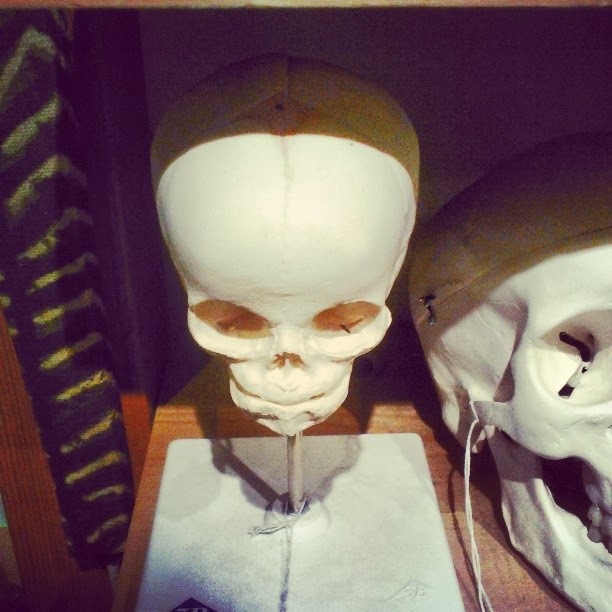 Bones, specimen, vintage medical equipment, art and a laid back yet helpful staff and owner.If you are a fan of the show Oddities and like the store Loved To Death in San Francisco, then check out this store. I like it so much more, friendlier staff, allows photos, not 20 security guards in a cramped space...Young and old were in the shop chatting about nature, bone readings and having a good time. 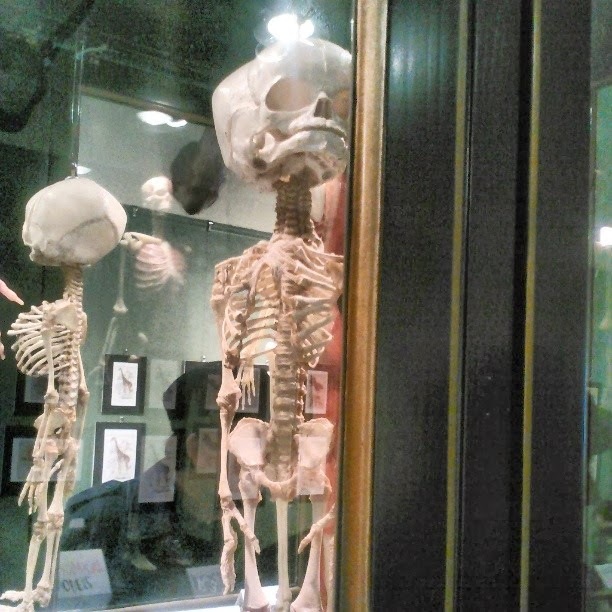 Fetal skeleton: could not get a great shot, it was behind the case at an odd angle. This was in the museum next door, it is an annex to the shopping store next door with more art, books and vintage/rarer stuff to buy. The owner hangs out here - he was supper nice letting me play with his vintage medical scalpels. A fetus skull cast. Would make an interesting specimen for your coffee table. 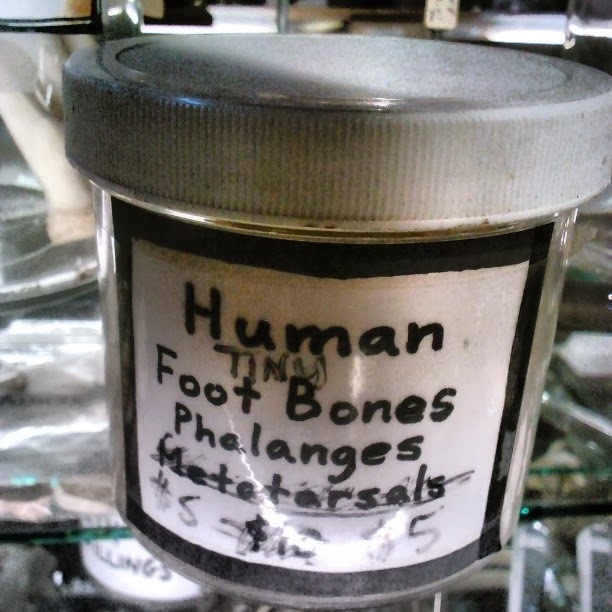 On a budget but still want some human bones? Then go with foot bones! $5 a pop! They also had jars of teeth that were pretty cheap. 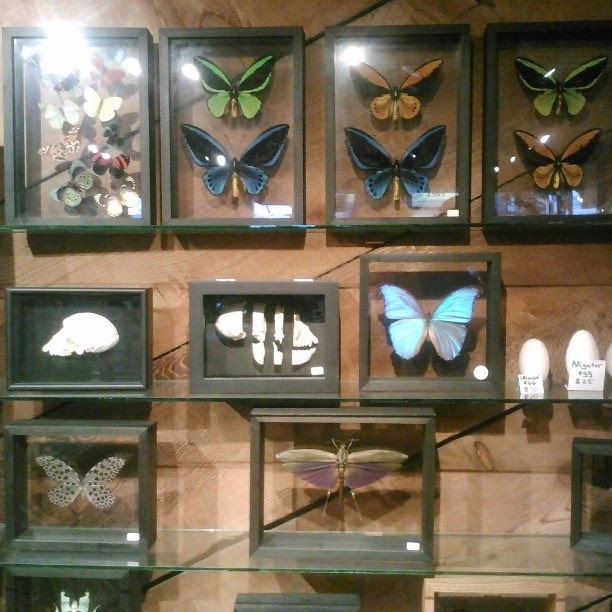 The shop was loaded with butterflies. My favorite was a Mormon butterfly (not pictured) that was black and red - super cool. While I am not into taxidermy or animal parts, bones and creepy coffins and tools interest me and have so since I was young. My mom in fact would bring me home casket literature if she had to go to a funeral home...I walked away from the bone room with some fossils that hopefully will be made into jewelry, a broken vintage ceramic doll (they sell doll parts!) and a Bone Room patch. I can't wait to go back, my eye is set on some jewelry and books!